Apple today released watchOS 5.1.3, the fourth update to the watchOS 5 operating system that runs on modern Apple Watch models. watchOS 5.1.3 comes more than a month after the release of watchOS 5.1.2, a major update that brought ECG functionality. watchOS 5.1.3 can be downloaded for free through the dedicated Apple Watch app on the iPhone by going to General --> Software Update. To install the new software, the Apple Watch needs to have at least 50 percent battery, it needs to be placed on a charger, and it needs to be in range of the iPhone. watchOS 5.1.3 is a minor update that focuses on performance improvements and fixes for bugs discovered since the release of watchOS 5.1.2. We didn't find any changes during the watchOS 5.1.3 beta testing period. Apple's release notes do not mention any new features or include information beyond the general "this update includes improvements and bug fixes" statement. 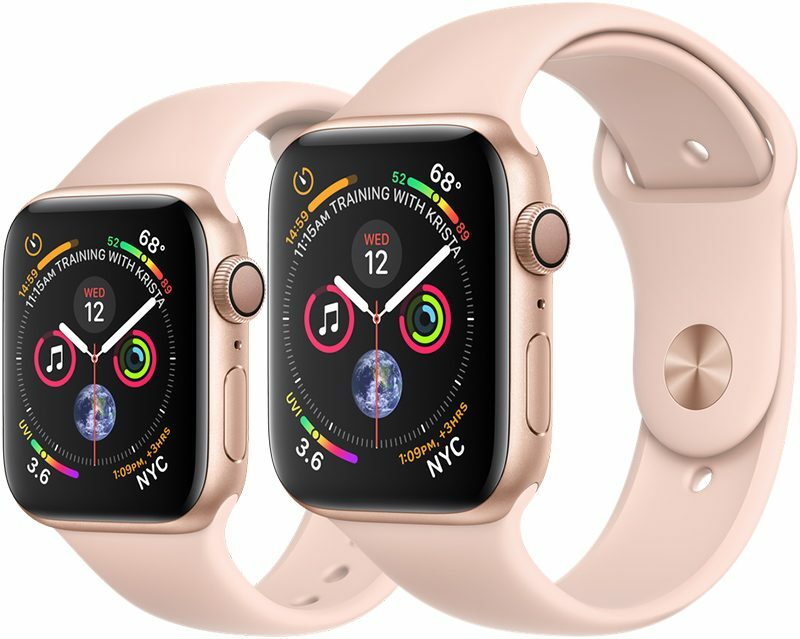 The prior update watchOS update, watchOS 5.1.2, introduced the long-awaited ECG feature for the Apple Watch Series 4, allowing Apple Watch owners to take single-lead electrocardiograms to detect atrial fibrillation, which can be a sign of serious health problems. It does for me at least seem to be better in 5.1.3. It's all in the flick of the wrist as you raise to your mouth. When I give the wrist a little flick as raising to mouth it works. If I simply raise the watch to my mouth hit and miss. apple watch updates are always welcome.. best apple product out there. Ok. [USER=1136581]@Applesupport[/USER] was able to help. Following the tips they gave me (see below) I’ve gotten Raise to Speak working about 75-80% of the time. The difference changer seems to be the speaking before the screen wakes up. Make sure the Watch screen stays asleep until less than one or two seconds before the watch is at your mouth and start speaking. It is best to start with the screen asleep and at least ten inches lower than your mouth. Bring the Watch up close to your mouth in one fluid motion without turning the wrist to wake the screen until the device is at your mouth. Start speaking as soon as the watch is in position near the mouth instead of waiting to see the screen wake first. Bring the watch closer to your mouth when speaking. Try speaking a bit louder when making your request. Low volume or whispered requests are not expected to be loud enough to activate Siri. Let us know if any of these tips help. een until the device is at your mouth. Big thing here for me is Raise to use Siri. Worked once right after I installed the update but not since. Only works intermittently for me and no improvement with 5.1.3. How do you mean? Do you mean the number of apps that can show in the dock? If so is that apps marked as favourites or just how many run in the background? What I was (snarkily) referring to is - I much preferred the horizontal dock of watchOS 3 to the vertical dock of watchOS 4. Is this update brings ECG app for other regions? I was wondering the same thing, I bought my watch in Canada so even though I’ve been in the US for 2 months I can’t us the ECG feature. Big sales pitch then no news for those of us with none US purchased watches. And there doesn’t seem to be anyway to contact apple to ask for an update. I don't think Apple is going to activate this functionality without some pretty big press releases in the affected countries. They are not going to sneak it in to a minor update and say nothing. Yes, it'll be a fairly major announcement when this goes live in other countries. 5.1.3 installed fine on AWS4. This will update the EKG app from v1.1 to v1.2.